When is a butterfly valve the right choice? 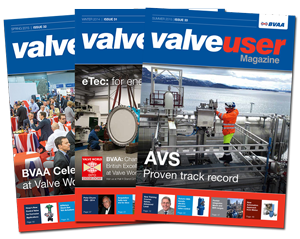 Selecting the right valve for a process application is always quite tricky, as ever cost is one of the most significant driving factors, but there are many other factors that should also be considered in order to get the right valve performance. In this blog I will highlight some of the considerations in selecting a control butterfly valve. Can it handle the pressure? In short, a butterfly valve is one of the most economical valves available, but it might not be able to handle some of the process conditions, such as a high velocity line fluid. In these situations it might be more appropriate to use a globe valve. Where there is a low dynamic pressure drop of less than 3 Bar (Pressure INLET � Pressure OUTLET) for each flow condition a butterfly valve is generally the best solution. However for higher dynamic pressure drops, please consult your valve expert as these should be reviewed on a case by case basis. When thinking about the valve shut off pressure, often a butterfly valve has a shut-off pressure of less than 10 bar. Where the shut off pressure is higher the use of a butterfly valve needs to be carefully considered � in these circumstances a globe valve can be opened against a high differential pressure whereas a butterfly valve may bind and runs the risk of becoming inoperable or additionally the valve�s seat could score and leak. The simpler structure of a butterfly valve means that the valve can be lined/coated relatively easily. A large part of the butterfly valve market is for vulcanised rubber valves which typically protect against corrosion from the process fluid. The use of rubber lining should be limited to 10 bar. Butterfly control valves are often specified for high temperatures, their simple design means that they can be applied to high temperature applications of around 1200�C, in these cases the valves are lined with refractory materials. Low emission applications: it�s butterfly valves all the way! The rotary motion of the butterfly valve is particularly suited to low emission applications where the turning motion of the valve shaft generates less distortion and damage to the packing rings and therefore the packings typically have a longer life than equivalent rising stem valves. The seat leakage requirement is key to selecting the right butterfly valve. They are produced in various forms, from concentric, double offset (high performance) to triple offset. Concentric designs are applied where seat leakage is not a concern. In these designs the body and disc has a clearance flow. Double offset designs are typically applied for control applications. Triple offset designs are mostly used for isolation applications where tight shut off is important. The movement of the disc on a triple offset design means that the seal ring has little or no contact with the valve body and therefore the turning of the disc does not generate any damage to the seal. There are no fixed rules for the weight and space requirements for the valve; however, the weight of a butterfly valve is normally at least half of the weight of the same size globe control valve. This offers the customers advantages in saving costs in the procurement and construction phase, when considering structures, structural support and handling. One of the main considerations with most butterfly valve designs, is that the valves need to be removed from the piping for any internal repairs - so it is important to understand the site maintenance strategy before installing your final solution. 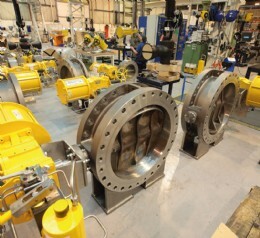 Batley� Butterfly Valves were established in 1964, over half a century, providing high technology process control valves, in addition to manufacturing bespoke valves to suit customer�s specific requirements. If you�d like to find out more or speak with one of our experts about your specific needs, visit our website.